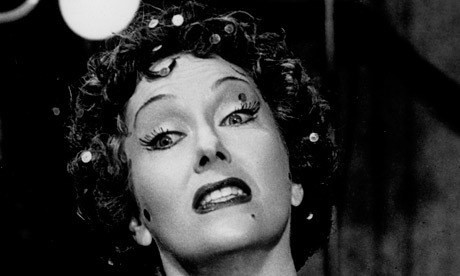 i have seen the future of pop culture's sudsy love affair with vampires, and it is big - norma desmond big, with gloria swanson eyebrows and dramatic, glassware-endangering gestures. it's for twilight moms and grad students, for recovering goths and people who secretly like forrest gump. ** it's moving and cheesy, like overturned fondue. it's - about a library book. My degree from Oxford, my position at Yale, and my carefully researched and written books had long provided meaning and structure to my life. But none of them were of comfort to me in this strange new world of menacing vampires and threatening witches. a discovery of witches debuts diana bishop, an american scholar visiting oxford to research a paper on the history of alchemy. she's also an orphaned, non-practicing member of a powerful family of witches, and in the course of a routine day at the bodleian library, she manages to summon ashmole 782, a crazy-powerful book acquired by the bod from the ashmolean museum and lost centuries ago. she doesn't appreciate its significance, what with her shunning of all things witch-related, but she catches on quickly after the book is returned to the stacks and all hell breaks loose in the selden end of duke humfrey's reading room. all three races of creatures (that would be witches, vampires, and daemons; in this universe, one in ten beings is a creature rather than a human) are desperate to get their hands on ashmole 782, and diana's days of spending hours in the library, wearing comfortable-but-flattering yoga pants and striking jewel-tone turtlenecks, enjoying complicated glasses of wine, and making questionably-integrated references to famous scientific and literary works - her BVB*** ones, anyway - are over. oxford is one of my favorite settings, of course, and the bodleian is an especially excellent bit of it; my nineties hair and i swore an oath (seriously, they make you swear an oath) not to "kindle therein any fire or flame" to become a reader there when i was a local, and i love kindling fires and flames. one needn't be a brit- or book-lover to take a shine to a discovery of witches, though; we're but sixteen pages in when matthew clairmont - ancient vampire, knight, biologist, oxford don, ladykiller, oenophile, and (spoiler) yoga enthusiast - glides into the library. he's ten times older than stephenie meyer's edward cullen, and considerably more dreamy from a non-tween perspective: he does the requisite secretly-watching-his-lady-while-she-sleeps, playing it chaste, and brooding about exes he's killed, sure, but he has a slammin' wine cellar**** (harkness's vampires haven't much use for food, but they love wine) and has whiled away the millennia by gadding about with folks like kit marlowe, chuck darwin, and everyone mentioned in "we didn't start the fire." her highly entertaining maximalism leaves me more than willing to power through her love scenes. "What spell have you put on me?" He searched my face. "It's not simply your eyes--though they do make it impossible for me to think straight--or the fact you smell like honey." He buried his face in my neck, the fingers of one hand sliding into my hair while the other drifted down my back, pulling my hips toward him. My body softened into his, as if it were meant to fit there. a discovery of witches, per its prepublication material, is to be translated into 32 languages; while i haven't seen explicit references to additional books, i'm guessing it's the first installment of a trilogy. this is excellent news; along with BBC three's marvelous being human, it's the most enthusiastic mixed-species drama i've come upon in some time, and a fine antidote to twilight's regressive tween-baiting. go forth, ms. harkness, and steamroll some YA fiction; scholars is pimps, too. VICTOR: harkness is the clear crowd favorite, but updike's superior descriptors, emotional plausibility, and lack of yoga carry the day. work on the love scenes, d-harks, and call me. 01 vampire yoga: are you in? 02 wine-drinkers, which adjectives would one toss about for the sort of wines you like? i favor spanish reds which are elegiac, chatterley, and cheap. 03 did you buy chatterley as an adjective just then? 04 is nineties hair lauren up there a vampire, a witch, or a daemon? which sort of creature would you be? 05 have you seen being human? do you plan to watch syfy's american adaptation? **i've met a few. terrifying. ****harkness is both a wine blogger and a historian of science. her dinner-and-wine-tasting scenes are lengthy and top chef-esque; i enjoy them immensely. 01 Everything I have to say about this involves a period/downward dog joke, and I don't want to make a period/downward dog joke. 03 Yes, but can't help feeling like it should be Chatterleyley (Chatterleyesque? Chatterleyriffic? ), and like Chatterleyley (esque/riffic) should be Chatterley. I'm editing in circles this morning. 04 Witch. Biting fairy, but we've been over that. 05 All I watch right now is P&P. It's January, man. see, this is the danger with d.h. lawrence. i somehow snost and lost with the downton abbey premiere on PBS last night; in my defense, we were trying to get one more being human in before my week of shipping hell and Not Being Home for Important Television began. did any of you catch it, internets? 01: I’m too diehard about my Pilates from the Black Lagoon class. 02: Sacchariferous, white and economy. 03: I don’t know- the kind of wine you half-heartedly resist but end up submitting to down on the forest floor? I’m definitely lamenting that set of clothes. Time-of-Her-Time-y is the hideous go-to adjective for the cheapest labels I like sort of along those lines. 04: Maybe a daEMOn? 01. why not? i already participate in actual yoga (albeit not of the hippie variety) so i can only imagine that vampires would make it more interesting. 02. i only pretend that i understand anything about wine. 03. i'm going to have to go with amanda on this one. i'm favoring chatterleyesque. 04. hip 90s witch. wraith. 01 Do I have to do it in a coffin? 02 Flinty. But that's one already in use. I also like red wines that taste like bodily fluids. 03 No but I always suspend disbelief in these parts. 04 A daemon. A fabulous glittering-eyed daemon with nail polish. I already was a witch and used my supernatural ticket all up. 05 No. No. Should I? you don't have to do vampire yoga in a coffin, but you should watch some being human. it's set in bristol! its werewolf has mr. potato head ears! i really like it. you folks are far too worldly to accept chatterly as an extant adjective, for sure - i just think it should become one. my not-so-secret agenda of the month is to turn poor, unsuspecting words ending in y into adjectives, i think. this could take a while, but it'll be worth it. i confess that usually thundertome just makes me feel inadequate about my own reading list and envious of how you fit in so much time for reading. but this makes me want to leap over my current guilty pleasure late-night reading (Stieg Larssen...don't judge!) and buy this immediately. 01 -- it's probably a good idea for vampires -- if you were 1000 years old, you might get creaky, too. 02 -- i generally buy wined based on 1) how much i like the label art, 2) price, and 3) the least-edible-sounding adjectives on the back of the bottle. last week it was dirt and cigars. maybe i could try a line of wines targeted at people suffering from geophagy: "...with notes of glue, chalk, and just a hint of modeling clay." 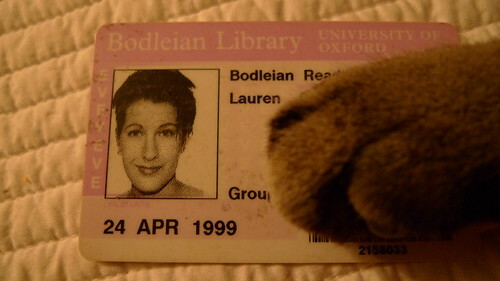 04 -- well, seeing as how i lived with you at oxford and i know the nocturnal habits you kept that year, i'm pretty confident that the answer is vampire. sorry. can't answer all the questions. have to go buy the vampire book now.